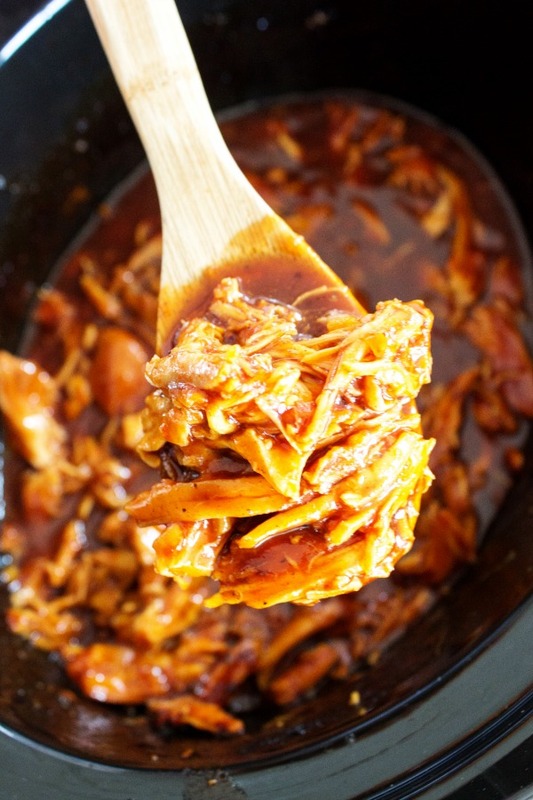 This Slow Cooker Chipotle Barbecue Chicken is a family favorite. The smoky heat from the chipotle and the sweetness from the BBQ sauce makes a great combo. Our family absolutely loves barbecue chicken, especially my daughter Jojo. 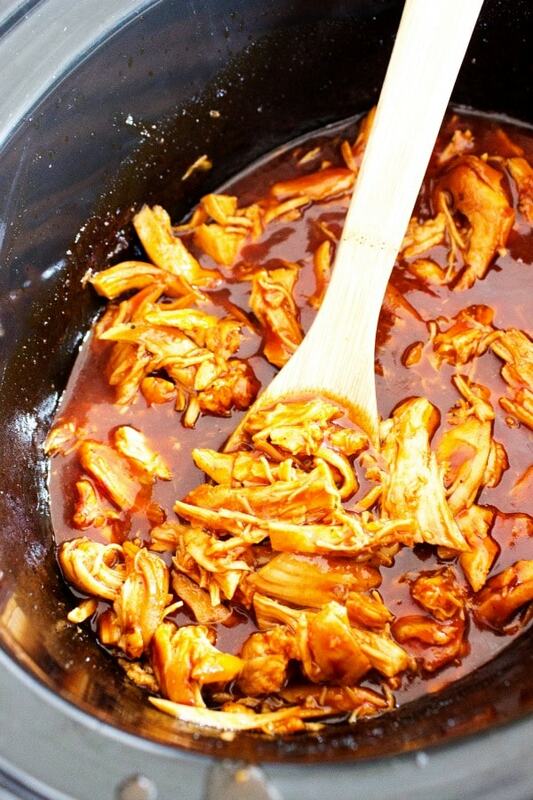 I love making slow cooker barbecue chicken recipes. Not only because my family loves it but also because it is so easy! 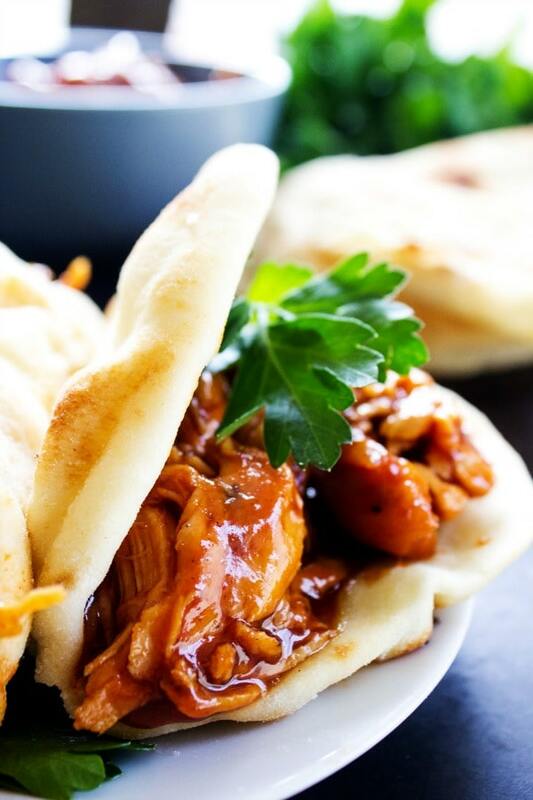 Throw together a few ingredients and let the slow cooker do it’s magic, and voila! A delicious dinner is served. Our typical to-go-to barbecue is my Best Ever Sweet Barbecue Chicken. We love making Slow Cooker Barbecue Chicken Taquitos and Sweet & Tangy Barbecue Meatballs for game day or gatherings, both meals easy to eat and make. 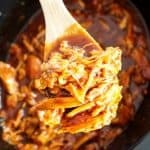 When I first made this Slow Cooker Chipotle Barbecue Chicken, I actually served it as pizza. I took some naan, topped it with the Slow Cooker Chipotle Barbecue Chicken, thinly sliced shallots and Monterrey Jack cheese. My kids loved it. And I had to laugh because my hubby only took 1/2 of his pizza, saying he was “full” but quickly returned for the second half. I loved the smoky heat from the chipotle seasoning. It married perfectly with the sweetness of the barbecue sauce. This was quickly added to our monthly rotation and I will be taking this chicken to family and friends when a meal is needed, as it was so easy! I always use my favorite slow cooker to take meals to friends, because it has the lid the fastens! A lifesaver for when driving anywhere with food! Plus I just love the color, who wouldn’t? 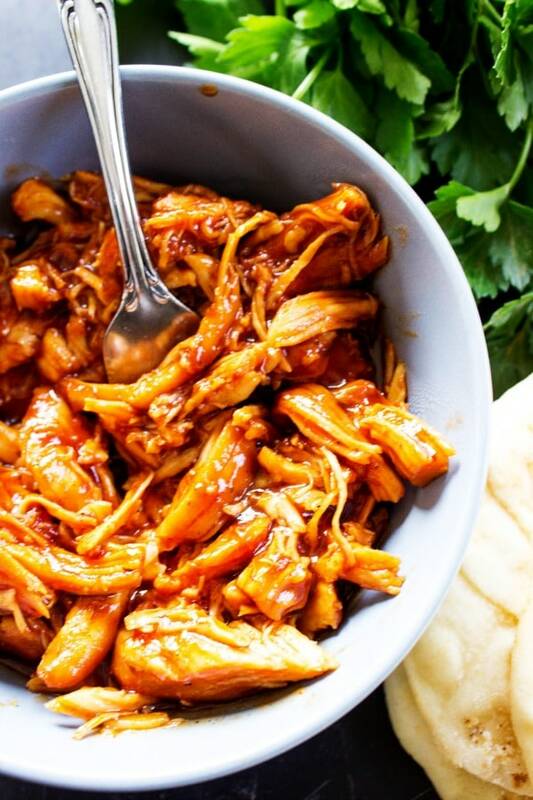 How do you make Slow Cooker Chipotle Barbecue Chicken? Place your crock pot on low, add chicken. Then mix all of the rest of the ingredients together and pour sauce mixture over the top of the chicken. The toss the chicken to coat. Cook on low for 4 to 6 hours, or high for 2 to 3 hours, until the chicken is falling apart and tender. 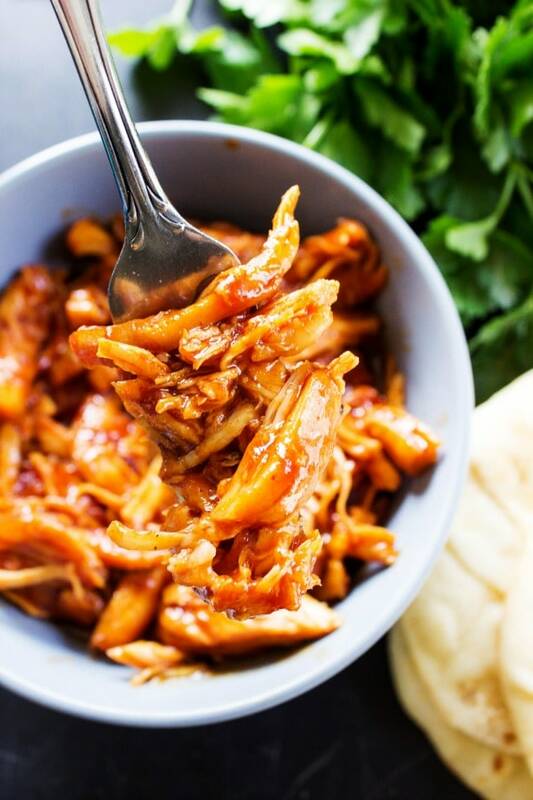 Serve with bread, naan, over rice, on top of a salad, even rolled up in a tortilla, so many things to do with this amazing Slow Cooker Chipotle Barbecue Chicken. Here are more of my Slow Cooker recipes. Pin this recipe to your favorite Pinterest board for later. Such a great idea to use the slow cooker to make this! So hands off and easy. LOVE this spicy sweet combo!!! This couldn’t look any more perfect! I have to put this barbecue chicken on my menu! Definitely, I hope you enjoy! Such a great recipe! So easy to make and I love the chipotle flavor! So much flavor! Love to make a big batch and use different ways throughout the week! This would be delicious over rice, in tacos, on top of salads, and the list continues. So simple, but packed with flavor! Those are all perfect ideas, it’s great on anything! Thank you!